Have you ever watched a movie that was good but felt like it went a little longer than it needed to? 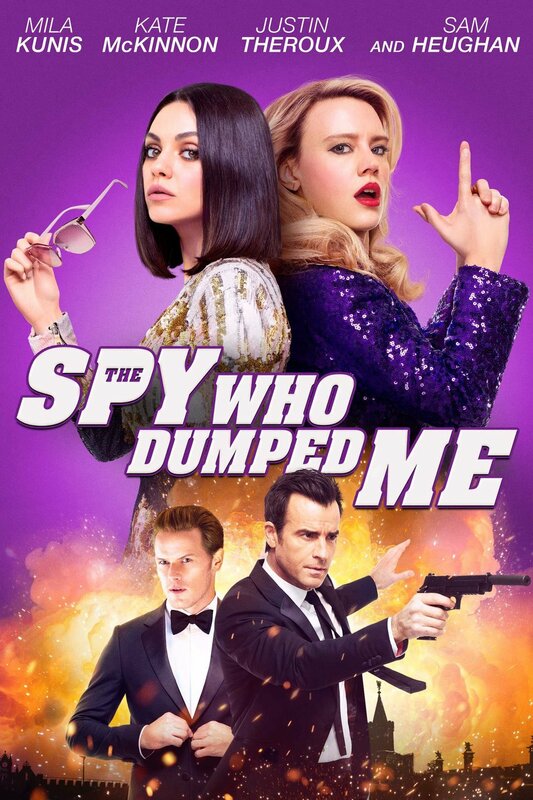 That is, "The Spy Who Dumped Me," without a doubt. With a running-time of an hour and 58 minutes this feels like a movie that would have been perfect at a strict 90 minutes and no more. Focusing on Mila Kunis' character who learns her boyfriend she just broke up with is actually a spy, within the first 15 minutes he appears at her house and dies whilst telling her what she can do to help protect the World through some globe-trotting-shenanigans. Kate McKinnon plays Kunis' best friend/partner in helping save the world and much of the funniest parts of the movie come from the hilarious chemistry the two have together as close chums. The flick moves along breezily, but right when you think it has reached its climax and is done...it keeps going, for another half-hour. It is still entertaining as the stakes keep rising as Kunis and McKinnon find themselves in crazier and crazier situations (posing as Canadian ambassadors and Cirque De Solei performers), but I was kind of wonder, "When does this end?" My wife said she felt this way too while watching it, so I'm not alone. "The Spy Who Dumped Me," is a solidly entertaining film, albeit one that goes a little long. Thanks to Kunis and McKinnon's hilarious banter it kept my attention throughout and overall it was worth the Redbox rental. Also, it presents to us in all its unedited glory the biggest, saggiest ball-sack I've ever seen in a mainstream Hollywood movie, so that counts for something too, I suppose.